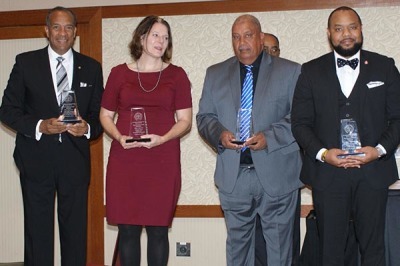 The Montgomery County-Radford City-Floyd County Branch of the NAACP held its 43rd Freedom Fund Banquet on October 13th in Latham Ballroom at the Inn at Virginia Tech. The theme of the banquet was “Defeat Hate: Vote.” 430 members and supporters attended, and there were 37 sponsors. The welcome was given by the Master of Ceremonies, Rev. Marlin Reeves. 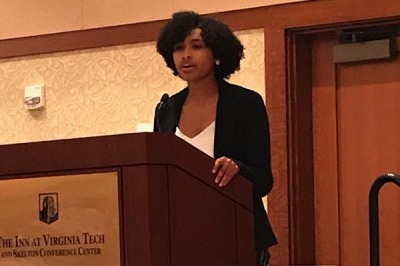 Greetings were brought by Branch President Rita Irvin, Radford University College Chapter member Ricardo Graves, and VT College Chapter President Camryn Taylor. A memorial ceremony for members deceased since the last banquet was led by Rev. Jefferson Jones and Youth Council member Tyler Graves. Musical entertainment was provided by Current Situation, comprised of Denise Smith and Alan Johnson on vocals, Glen Holmes on keyboards, and Delmar Parker on drums. Sponsors of the banquet were recognized by Banquet co-chairs Deborah Travis and Allen Palmer. The Gold Sponsor, at the level of $2500, was the Virginia Tech Office of the President. Silver Sponsors, at the level of $1000, were Carilion New River Valley Medical Center; Food Lion, Inc.; the Radford University Office of the President. 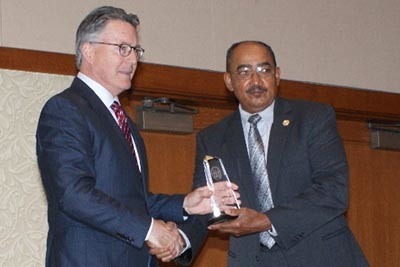 ; Virginia Tech Office for Inclusion and Diversity; and Jefferson College of Health Sciences Office of the President. Bronze Sponsors, at the $800 level, were Asbury United Methodist Church; Christiansburg Institute and Alumni Association; Huntington, Huntington & Huntington, PLLC; LewisGale Montgomery Hospital; Moog, Inc.; Schaeffer Memorial Baptist Church; United Auto Workers, Local 2069; ColorsVA Magazine; Wolverine Advanced Materials; and Member One Federal Credit Union. There were 21 Community Sponsors at the $600 level. Fully-paid Silver Life Membership plaques were presented to Dr. Arthur Buikema, Judy Diggs, Jason Diggs, Irene Peterson, and Dr. Jill Stewart. 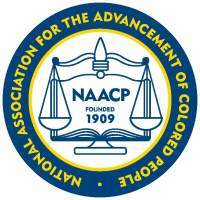 The Nannie B. Hairston Award, for long-time service to the NAACP and the community, went to Dr. James C. Klagge. The award was presented by DyAnne Penn, daughter of Mrs. Hairston, and recent award recipients Deborah Travis and Roxie Palmer. Klagge grew up in a suburb of Cleveland, attended the College of William and Mary and UCLA, and eventually moved to Blacksburg in 1985 to take a position at Virginia Tech as Professor of Philosophy. Klagge was elected to represent District F for the Montgomery County School Board in 1995, and served as board chair from 1998-2000. He was re-elected and served until 2003. His involvement in the establishment of the county-wide Diversity Committee in 1998 was an important accomplishment. Klagge is a frequent contributor to the Roanoke Times opinion pages, advocating for a variety of civil rights issues. 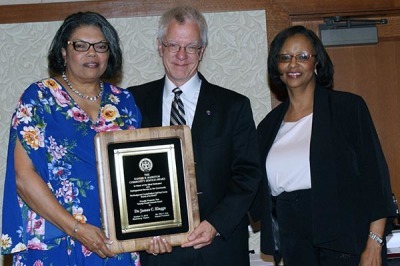 A past recipient of the Branch’s Dr. Martin Luther King, Jr., Community Service Award, Klagge has served as chair of the branch’s Communication Committee for over 15 years, and is a Silver Life member of the NAACP. He is currently the branch’s 1st Vice President. Along with other activists from the area, Klagge was part of the counter-protest at the alt-right rally in Charlottesville in August 2017, and the March for Our Lives rally in Washington DC in March. A member of Asbury UMC, Klagge is married to Rev. Kathy Carpenter, is the father of two and grandfather of two. He credited the late Rev. John Price for making him feel welcomed into the local African-American community. 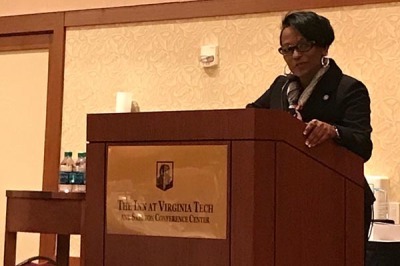 The keynote speaker was the Honorable Dietra Y. Trent, Ph.D., former Secretary of Education for the Commonwealth of Virginia. During her service to the Commonwealth, Dr. Trent considers her proudest moment to be establishing and obtaining funding for the Minority Political Leadership Institute, aimed at individuals interested in running for elected office or assuming leadership roles in minority communities. 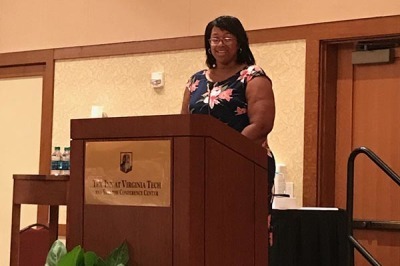 A native of Halifax County, VA, she currently serves as Interim Director of International Education and Special Assistant to the Provost at Radford University. Trent spoke on the topic of “Defeat Hate: Vote.” She began by honoring the work of the NAACP as always necessary. It has been and continues to be the nation’s moral compass. The NAACP led the battle to tear down barriers of segregation in the 1954 Brown v. Board of Education Supreme Court decision, and the 1965 Voting Rights Act. But the battle against discrimination continues in the “new Jim Crow” prison system, in increasing attempts at voter suppression, and in our embattled schools. A recent study has shown that children from deprived backgrounds hear 1.3 million fewer words spoken at home than do their more affluent classmates. They thus begin with a deficit that must be addressed not simply by equality of treatment, but by equity. What would it take to bring these children up to equal levels of achievement? Dr. Trent closed by encouraging people to vote. She noted that the clear winner of the 2016 presidential election was the “none of the above” preference of the 100 million who did not vote at all. She encouraged people to get out and vote, not only for policies that are good, but for candidates who are good people. Political Action Committee chair, Karen Jones, presented the guest speaker with a gift of appreciation from the branch. The banquet concluded with a benediction by Rev. Pam Phillips after which the attendees held hands and sang “We Shall Overcome” to indicate their commitment to continuing work for civil rights and the betterment of all people in the New River Valley. The Branch holds its General Body meetings on the 4th Sunday of each month at 3:30pm at the recently-renovated Old Hill School Community Center, 570 High Street in Christiansburg. All are welcome. 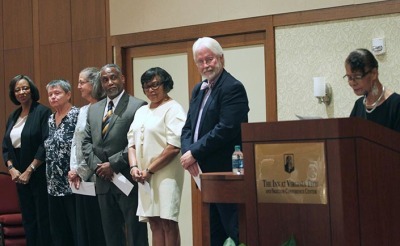 The Branch will hold its 2019 annual Rev. Dr. Martin Luther King, Jr., Celebration on Sunday, January 20. Please join us. The Honorable Dietra Y. Trent, Ph.D.